Junior Phoenix Bialek takes a selfie with the freshmen she's leading on a scavenger hunt around Shawnee Mission West High School. It was back to school Friday for some Johnson County students. For many years now, the Shawnee Mission School District has had a transition day for students moving into a new school building. According to Shawnee Mission West Principal Steve Loe, having just ninth graders on the first day lets new high school students meet their teachers and get acquainted with the building before they have to share the halls with upperclassmen. 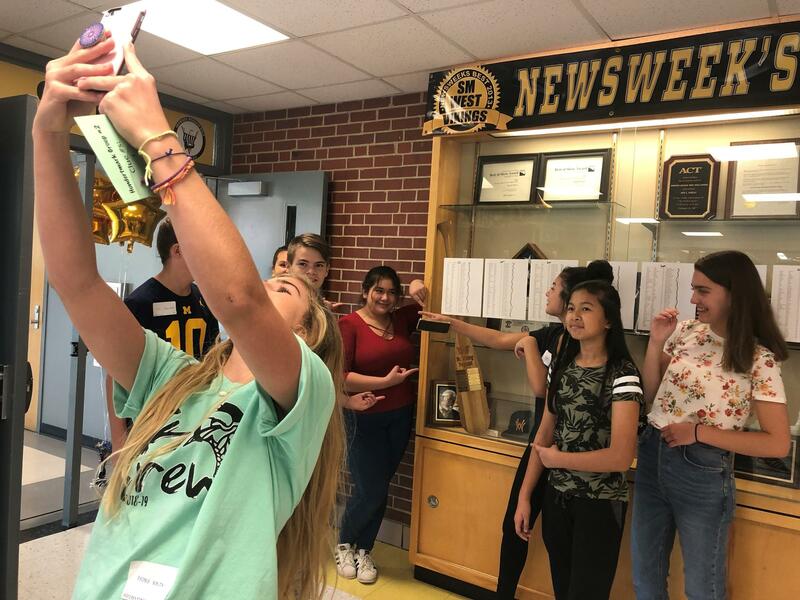 “(We) give our new students – our new family members, we like to call them – a whole day to themselves,” Loe said as a group of freshman stopped in the hall to take a selfie with the trophy case. 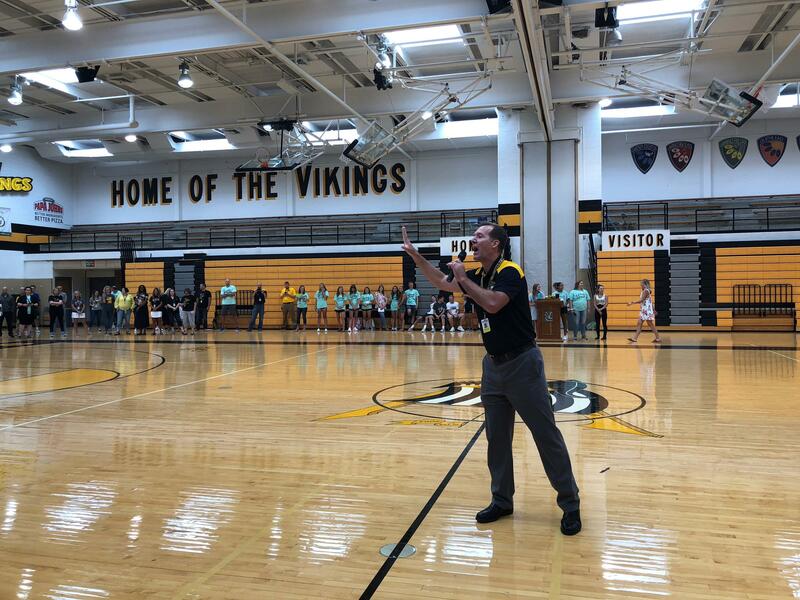 Principal Steve Loe explains to the class of 2022 that a freshman has never won Shawnee Mission West's spirit stick, but he'd like to see that change. There were a few older students in the building Friday, mostly school leaders who applied to mentor incoming freshman. The freshman also went to a pep rally where the school’s cheer, dance and step teams performed. Shawnee Mission students who did not go back Friday start school on Monday, except for kindergarteners who begin on Tuesday.